Last year Nicole Spose sent us to Venice, this year they took us to Rome. 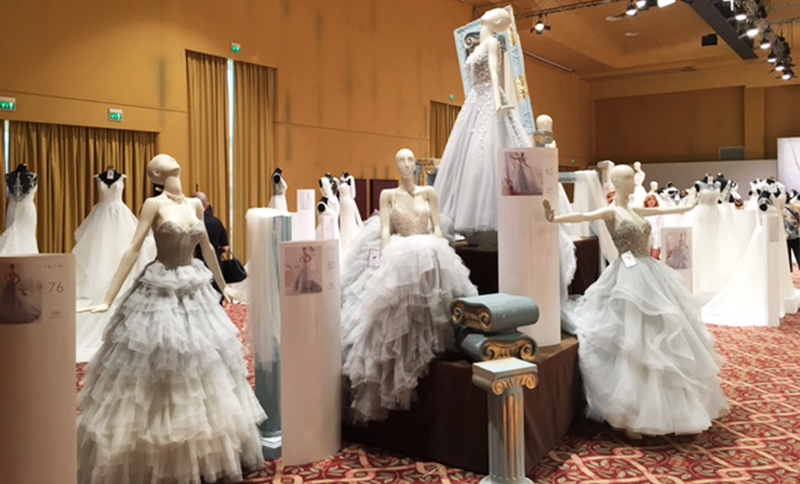 With promises of an evening of celebrations and ‘The never ending story’ fashion show, we had our gowns packed and were full of excitement. A few weeks before the show the marketing team at Nicole had announced that they were holding an awards ceremony for all stockists around the world. There were 4 categories including Best Nicole Social Retailer and Best Nicole Real Bride. We sent of pictures for both of these categories and then they went online to be voted on by the general public and judged by an internal team at Nicole. We arrived on a beautiful hot day and were greeted by the Nicole team at the hotel. They gave us a pack of information about the evenings event and inside the pack were our reserved seating tickets for the fashion show and our gold wristbands, this meant that we had won an award! (Everyone else had white). Well you can just imagine how excited, nervous and anxious we were, so had to have a glass of bubbles to settle our nerves while getting ready. 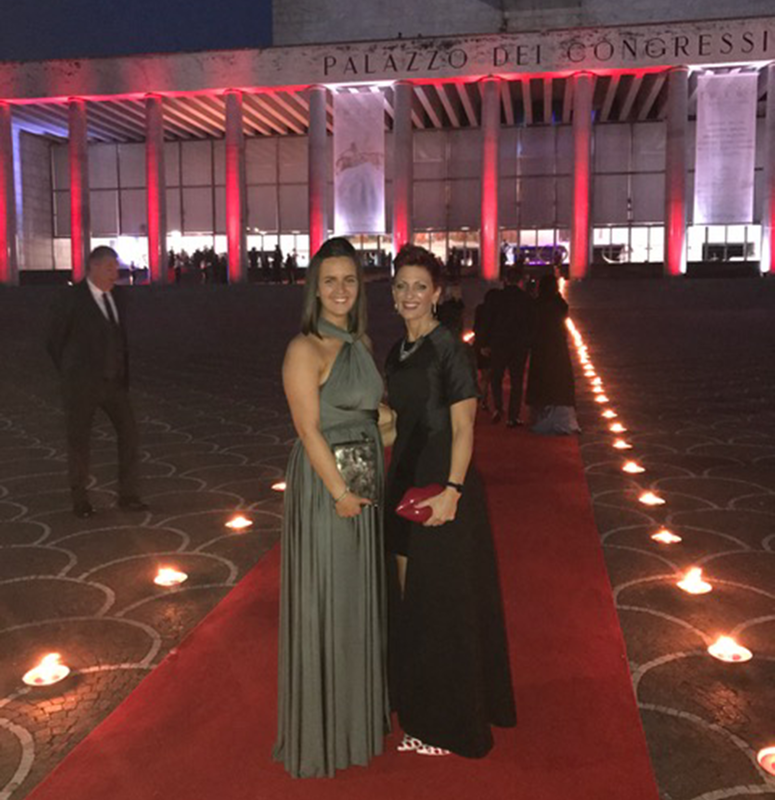 Later that evening we arrived to a candle lit red carpet entrance at the Palazzo Dei Congressi, with Paparazzi taking hundreds of pictures of some Italian celebrities, and took our seats ready for the awards evening and of course highly anticipated fashion show. The lights dimmed and a glamorous Italian lady started a speech that Alison and I couldn’t make heads or tails of. An awards symbol then showed on the screen and Best Nicole Real Bride was announced. All we could work out was that Turner and Pennell Bridal Gallery was announced. We dashed up onto stage to collect the award and to my absolute horror the microphone was handed to me, ARGHHHHHHH. I have no idea what was said to me, I just thanked everyone at Nicole and sheepishly walked off stage. Now, had I been told we were to make a speech obviously I would have been more prepared and thanked not only Nicole but of course our beautiful real brides that have purchased a Nicole Spose dress. 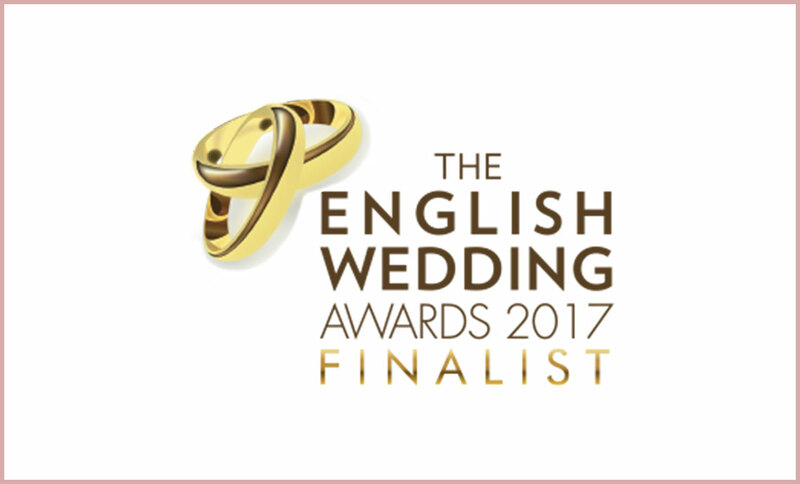 We are thrilled that our UK Brides have been recognised by this prestigious world wide Italian brand. The next day we were still very much on cloud 9, but we had to get our work heads on and start buying the new collection for the shop and of course our 2018 brides. Now this sounds like an amazing job (and it is most of the time) but with over 500 dresses to look at and choose from it soon became very confusing. There were dresses in shades of blue, pink, gold, red and even floral prints. Big princess gowns, stunning fishtails and elegant slim fits. We have to make sure we select a range that covers all the shapes and right amount of bling etc. We must have walked around that room 20+ times just to soak all the dresses in. Finally, we settled on the gowns we feel our brides will love and now looking forward to receiving them in August.